Khiri Travel Indonesia sends condolences to all concerned following the 7.0 earthquake which shook Lombok and surrounding areas around 19.45 hrs Sunday evening and caused at least 91 fatalities among residents on the island. The heaviest impacted areas seem to be North Lombok including the Gili Islands. There was no tsunami. Khiri Travel is in contact with our clients in Lombok. Where needed, we are finding alternative accommodations on the island or on nearby Bali. Lombok airport is operating as usual. Extra flights are being added to take tourists out of Lombok. The fast boat service between Lombok and Bali had already been suspended due to high sea swells. This remains the case. Over the next few weeks, Khiri Travel will provide options to change travel programs, or move guests scheduled to visit Gili Islands to alternative accommodations. Without any further incidents, Khiri Travel believes it will be possible to resume normal travel to Lombok in a few weeks’ time, especially the largely unaffected south and eastern areas of the island. We will keep monitoring the situation. To support local people employed in the tourism industry in Lombok we recommend that clients do not make unnecessary changes to travel programs, but contact Khiri Travel if they have any concerns. 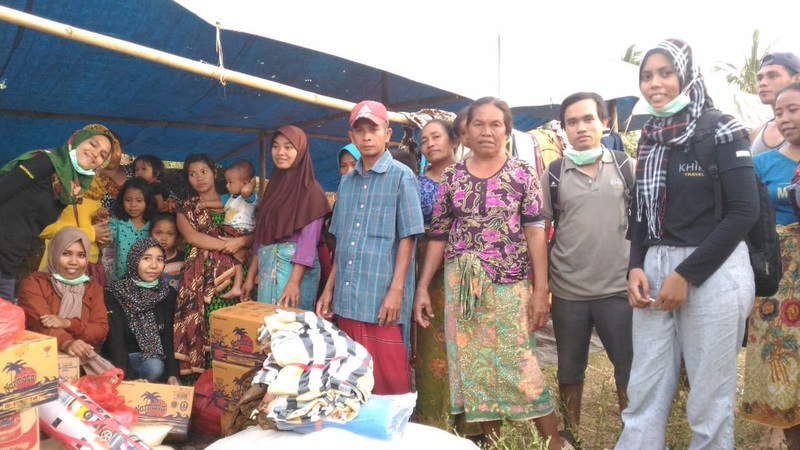 Following the July 29 earthquake, Khiri Travel Indonesia and partners raised almost US$4000 to help local residents. Our staff had just returned from northern Lombok a few hours before the Sunday earthquake. They had been handing out food, blankets, mats and water tanks and filters to villagers in rural areas. Donations to help Lombok residents recover from the earthquakes can be made via the Khiri Travel Indonesia Lombok office (see contact information below). Αναρτήθηκε από geop στις 5:21 π.μ.